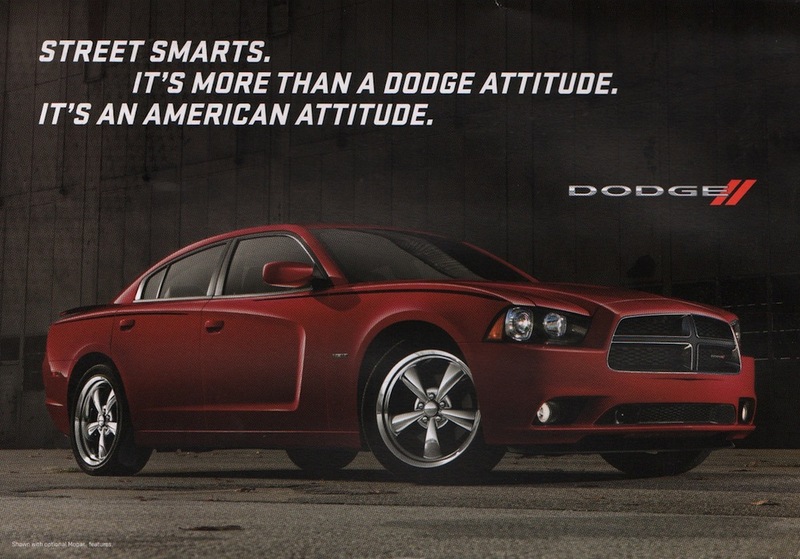 Mail sales brochure featuring the 2012 Dodge line-up and the 2013 Dodge Dart. There are 5 hero cards inside featuring the Grand Caravan, Journey, Charger, Challenger, Durango, Avenger, and 2013 Dart. I like the cover, Street Smarts. It's more than a Dodge Attitude. It's an American Attitude.